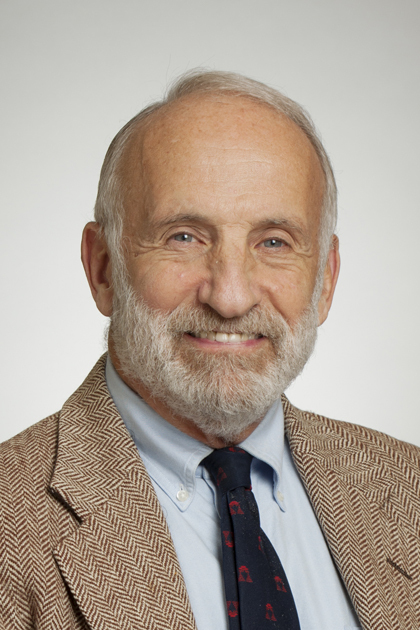 Dr. Newhouse practices in the Body Radiology Division at NYPH; for three decades he was Chief of the Abdominal Radiology Division and Director of the Abdominal Radiology Fellowship there. Primarily known as a teacher, practitioner and researcher in the field of GU radiology, his focus of practice is in abdominal and pelvic CT, MR, fluoroscopy and radiography. Dr. Newhouse graduated from Princeton University and Harvard Medical School and completed his residency at the Massachusetts General Hospital. After serving as the uroradiologist at Walter Reed Army Medical Center, he returned to the MGH for nine years before moving to Columbia. At Columbia, he holds Professorships in Radiology and Urology, the former with tenure. He has won numerous awards, most recently the Gold Medal of the Society of Radiology, which earlier had given him a Best Scientific Paper award. He was a James Picker Scholar during his training, has been the Distinguished Scientist in the Radiology Department of the AFIP, has been Teacher of the Year in both the Radiology and Urology Departments at Columbia and is a Fellow of the American College of Radiology. Dr. Newhouse has always been a prolific and sought-after teacher. He has given over 500 lectures in 13 countries and conducts the GU training both at NYPH and in several local residency programs. His publications are also prolific, comprising authorship or editorship of 11 books, over 170 individual papers and many abstracts, exhibits and web-based entries. He is frequently involved with residents’ research projects and continues to publish with them; his primary current interest is contrast-induced nephropathy. Service in national professional societies has also been a large part of Dr. Newhouse’s activities. He has held every office, culminating in the presidency, of the Society of Urology. He chaired the Appropriateness Criteria Committee of the ACR, having participated in and then chaired its GU section. He has been an examiner and examination developer for the American Board of Radiology. Newhouse JH. Fluid compartment distribution of intravenous iothalamate in the dog. Invest Radiol. 12:364-367, 1977. (July/August). Newhouse JH, Murphy RX. Tissue distribution of soluble contrast: effect of dose variations and changes with time. AJR 136:463-467, 1981. Newhouse JH, Pfister RC, Hendren WH, Yoder IC. The Whitaker test following successful pyeloplasty: establishment of normal ureteral perfusion pressures. AJR 137:223-226, 1981. Newhouse JH, Prien EL, Amis ES, Dretler SP, Pfister RC. Computed tomographic analysis of urinary calculi. AJR March 1984, 142: 545-548. Newhouse JH, Amis ES Jr. The relationship between renal scarring and stone disease. AJR 151:1153-1156, 1988. Halpern EJ, Newhouse JH, Amis ES, Lubetsky HW, Jaffe RM, Esser P, Alderson PO. Evaluation of teleradiology for interpretation of intravenous urograms. J. Digital Imag. 5(2):101-106, 1992. Newhouse JH, Landman J, Lang E. Amis E.S., Goldman S, Leder R, Khazan R, Hedgcock M. Efficacy and safety of iopromide for excretory urography. Invest Radiol 29: S68-S73, 1994. Kolb TM, Lichy J, Newhouse JH. "Screening ultrasound detection of otherwise occult cancer in women with dense breasts: Detection with screening US Diagnostic yield and tumor characteristics". Radiology, 207:191-199, 1998. Kolb TM, Lichy J, Newhouse JH. "Performance characteristics of screening mammography, physical examination and breast ultrasound and the factors that influence them: An analysis of 27,825 patient evaluations". Radiology 225:165-175, 2002. Rao QA, Newhouse JH. "Risk of nephropathy following intravenous contrast administration: A ciritical literature review". Radiology 239(2):392-397, 2006.